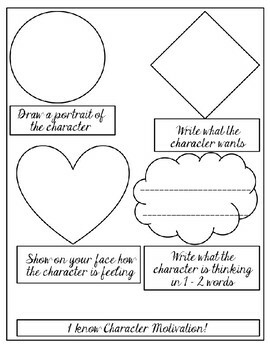 This organizer is designed to have students identify why a character does something, says something, or thinks something by looking at what the character wants. 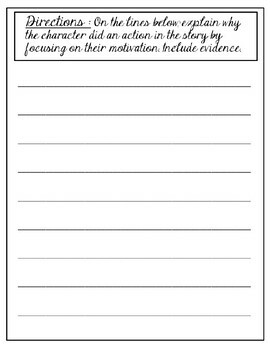 The culmination of their evidence finding is on the last page of this 3-part organizer where they have to describe why a character did an action by using their previously found evidence. 1. 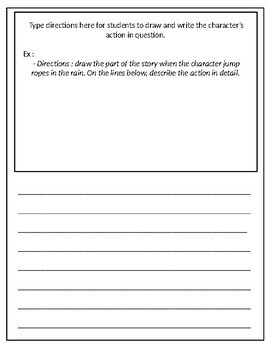 The print and teach version with directions filled in, no prep. 2. 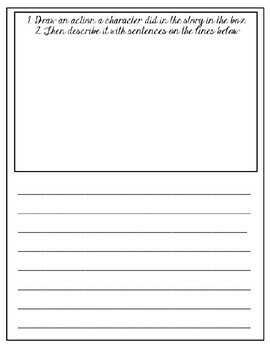 Each page is blank, you have full creative freedom with how to instruct students, and what font to type in.